Every law firm wants to know the secret to being one of the three businesses that appear in local search results underneath the Google map. These spots are limited and the competition is fierce, which makes it incredibly challenging. 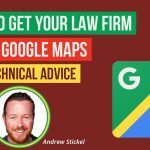 Google can be unpredictable, so there’s no way to guarantee that any trick will be enough to land your law firm in one of these spots. However, there is one legal marketing strategy that can be implemented to increase your chances of getting a Google maps listing. Visit your law firm’s Google business listing and take a look at which categories you have selected. The categories are supposed to be used to describe what type of business you are in. This isn’t just helpful to consumers browsing through local business listings-it’s also used by Google to figure out what you do. The primary category on your Google local business page should be your main practice area. The latter is far too general to be used as a primary category since it doesn’t indicate which area of law you practice. If you practice more than one area of law, choose the one that generates the most business for your primary category. These categories should also be relevant to your business, but they will not be as specific as the primary category. For instance, some of the secondary categories that law firms can use include lawyer, law firm, general practice attorney, trial attorney, and legal services. These are some of the go-to categories for law firms. But, if you want to browse the full list, simply click on the pencil icon and type in the word “attorney” to pull up all of the categories that are relevant to your business. Be sure to save the changes once you have selected your categories. It only takes a few minutes to make this change on your law firm’s listing, and it can pay off in a major way. Now that this information is updated, Google will have a better idea of what legal services you have to offer. This makes it easier for the search engine to determine when your business is relevant to the search query. 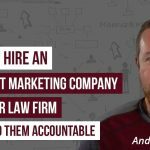 As a result, it’s possible this simple law firm web marketing strategy could help your law firm land in one of the coveted spots in the Google map rankings.